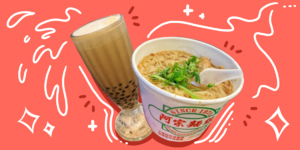 Milk tea has proven itself worthy of the praises as locals do not seem to get enough of the milk tea craze just yet, and with all the milk tea shops popping out everywhere, there's always something new to discover. 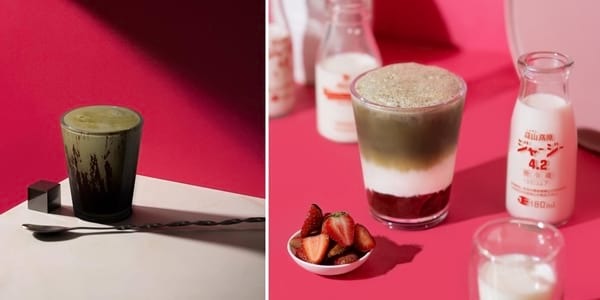 Get bubbly on your next milk tea trip and try FRNK Milk Bar set to open in Glorietta this April. Inspired by Japanese flavors, FRNK Milk Bar offers different kinds of milk for your choosing: the usual fresh milk, brown rice milk, non-fat milk, oat milk, and almond milk, some of which are perfect for some vegan-friendly sipping. FRNK has already teased some of the drinks and treats that will be available for our hearts' content once the milk bar open. 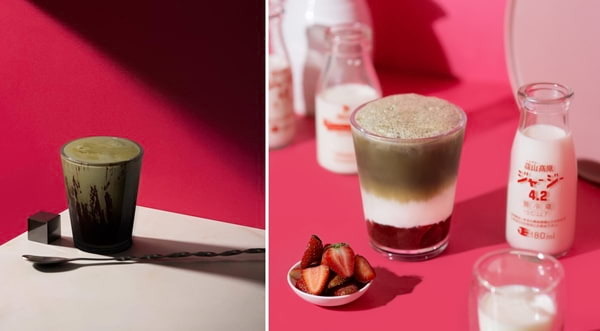 Some of the most catching cups are the Dirty Maccha which combines chocolate with Ujji Maccha; the Midnight Ichigo comprised of black tea, milk, strawberries, and their homemade strawberry sauce; and the Mango Chizu Drink in appealing yellow and a scorched crown. The Chizu Cake also promises a "flourless but flawless" confection. If a look at these upcoming treats is enough to make your sweet tooth thirsty, be sure to catch FRNK Milk Bar when it opens! Glorietta is located at Ayala Avenue corner Pasay Road, Ayala Center, Makati. For more information about FRNK Milk Bar, you can visit their social media accounts on Facebook and Instagram. Homestream image from FRNK Milk Bar Facebook page.